Something festive. A deconstructed Bacterial Christmas Tree. 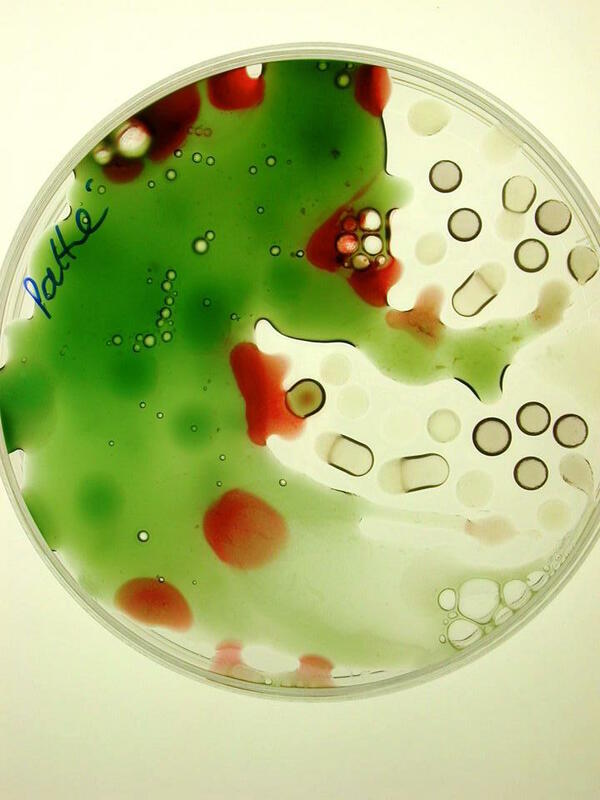 The green foliage, is encapsulated Pseudomonas aeruginosa, and the red baubles the blood bacillus, Serratia marscens. Both are potentially pathogenic, so in the lab it must remain. The bacteria have added their own character to the work, as their activity has dissolved the gelling agent, distorting the intended neat Christmas tree design. Thus the living bacteria, that were initially used for their colourful pigments, have also contributed to the work. For me this is a vital aspect of the art piece.